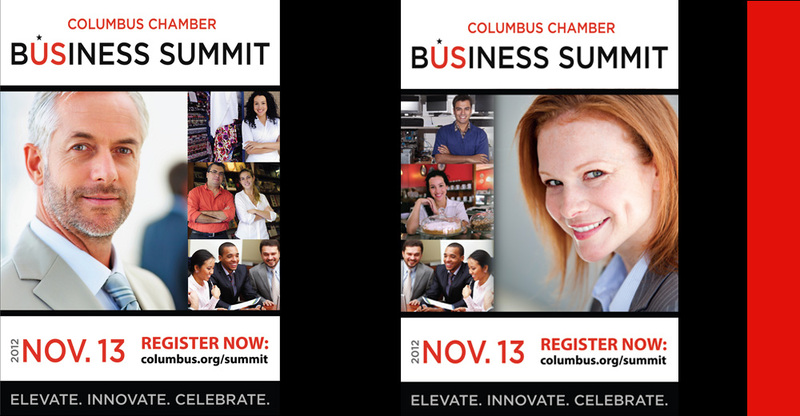 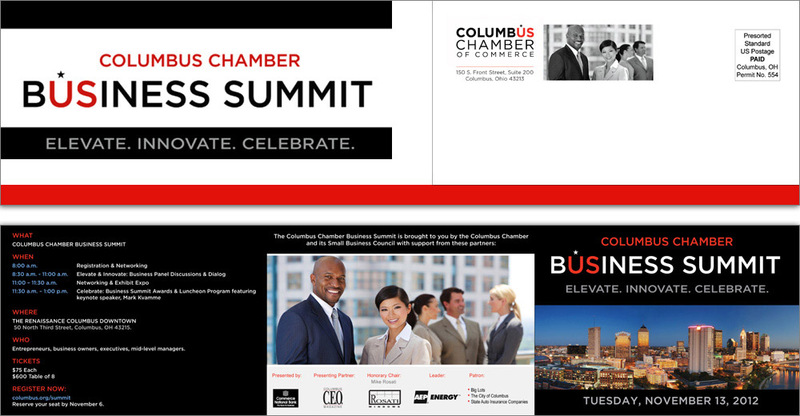 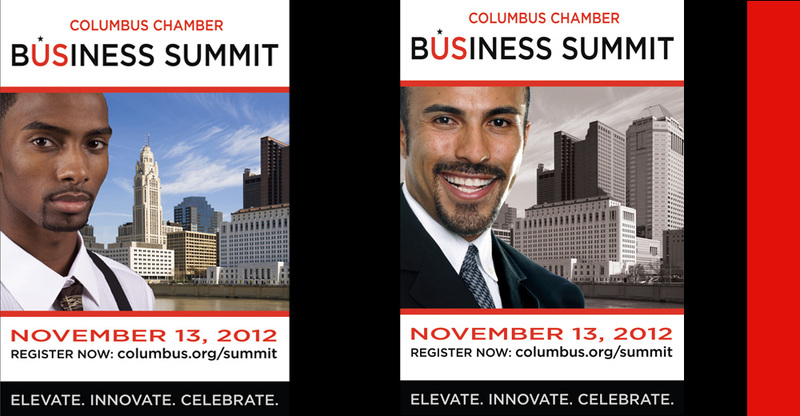 Event Branding for Columbus Chamber of Commerce 2012 Business Summit. 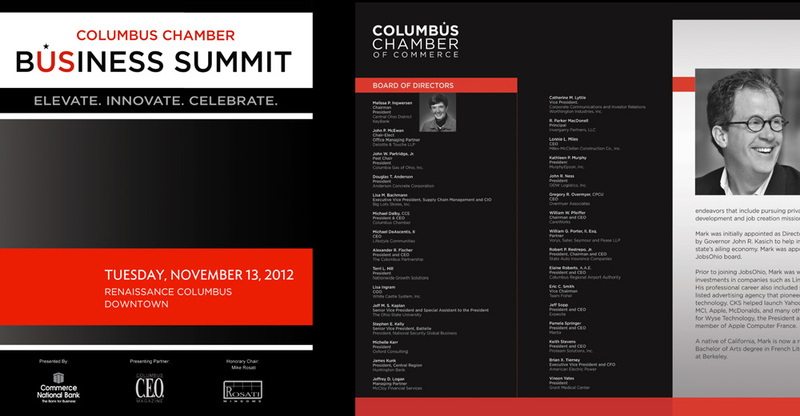 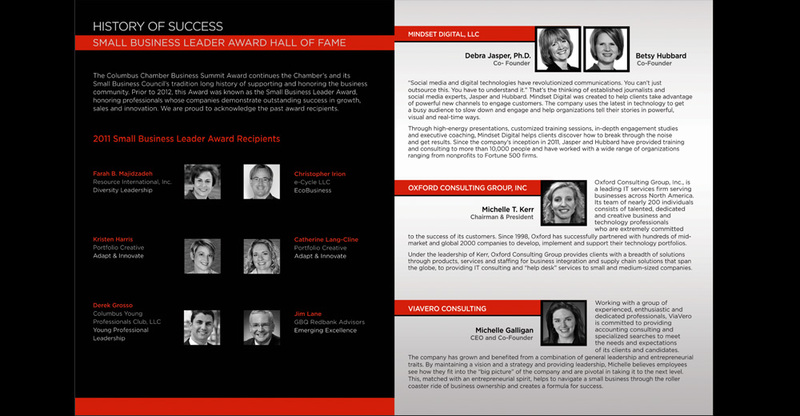 An event logo design was created, to reflect the ultra-conservative, corporate brand of the Columbus Chamber of Commerce. 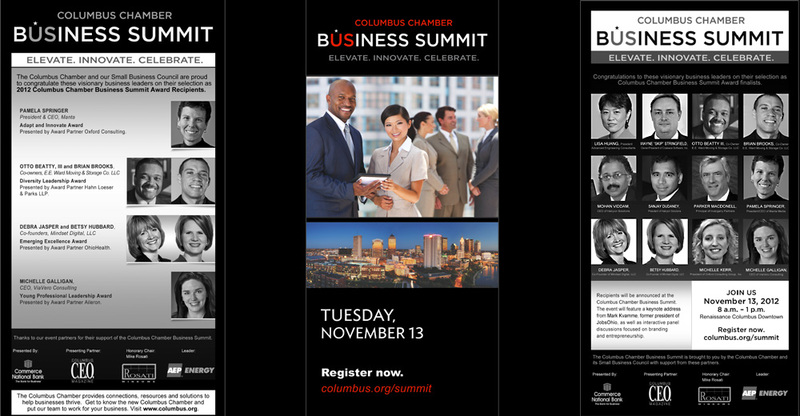 An Event Branding package comprising: Press Ads, Invitations and Envelopes, was put together. 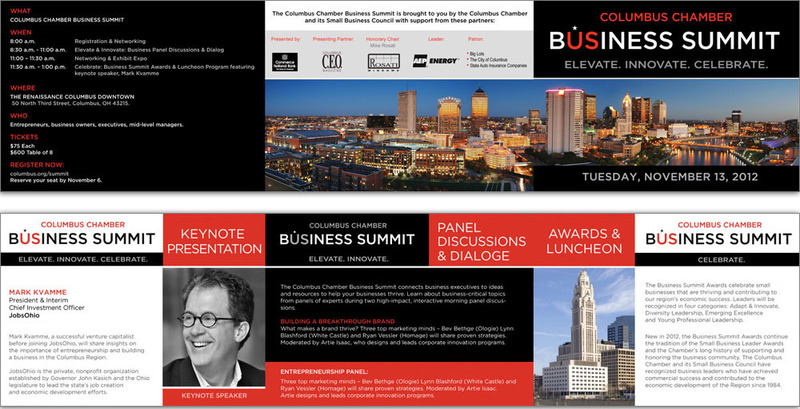 Marketing Materials including a promotional Invitation, Web Banners and a 20-page Program were created.